Djoniba Centre @ RIOULT Dance Center. 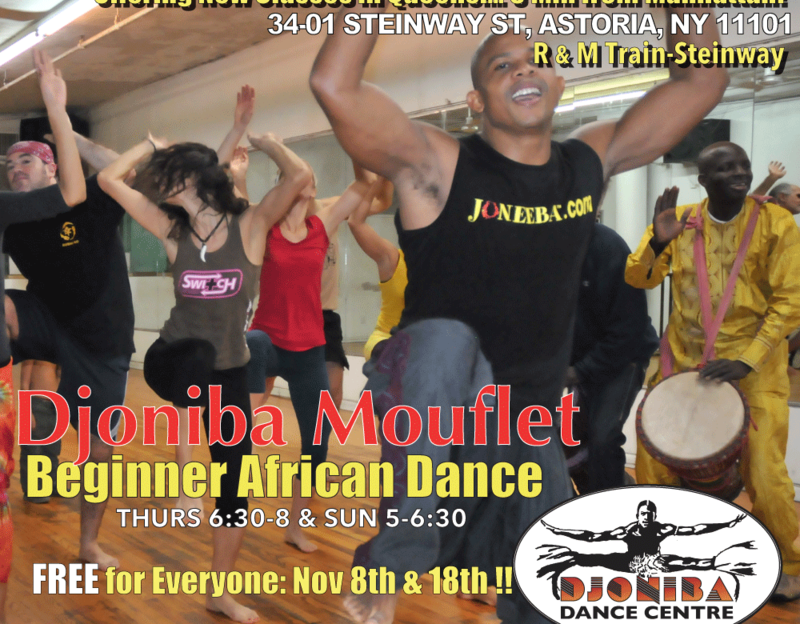 Join us for a FREE Beginner African Dance Class taught by Djoniba Mouflet of Djoniba Centre @ RIOULT Dance Center. 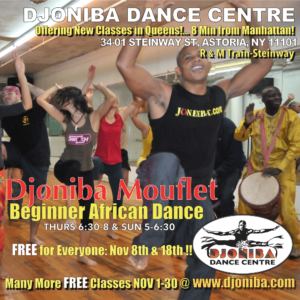 In Djoniba Mouflet’s own brand of African Dance, beginners will learn how to develop a stronger, leaner body through an effective warm-up and class that incorporates dance from Mali, Guinea, and Senegal. R&M train to Steinway Street.